Today... Sunny, with a high near 74. Calm wind becoming northwest 5 to 9 mph in the morning. Tonight... Clear, with a low around 49. Light west wind. Monday... Sunny, with a high near 82. Light north wind. Monday Night... Clear, with a low around 52. Light and variable wind. Tuesday... Sunny, with a high near 85. 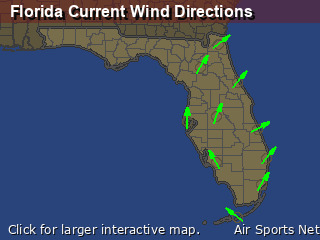 Light southeast wind. Tuesday Night... Patchy fog after 5am. Otherwise, mostly clear, with a low around 56. Wednesday... Patchy fog before 8am. 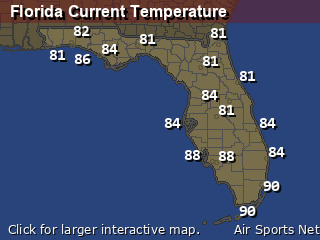 Otherwise, sunny, with a high near 86. Thursday Night... A 20 percent chance of showers. Mostly cloudy, with a low around 64. Friday... Showers likely and possibly a thunderstorm. Mostly cloudy, with a high near 83. Chance of precipitation is 70%. Friday Night... A 50 percent chance of showers and thunderstorms. Mostly cloudy, with a low around 60. 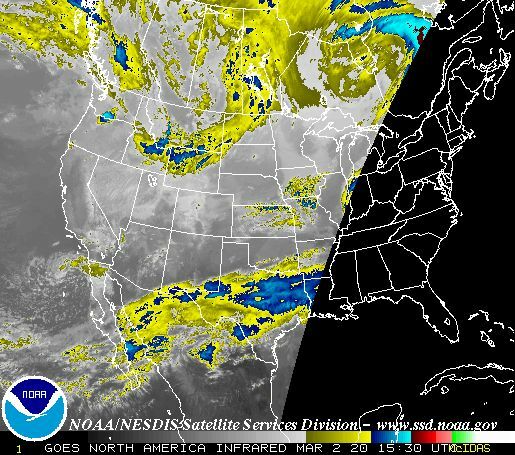 Saturday... A 40 percent chance of showers and thunderstorms. Mostly sunny, with a high near 83.